FIDO’s previous Fraser Island conferences 2020 Vision (Noosa 2004), True Grit (USC 2006), Shifting Sands (The Gap 2009) FIDO @ 40 (The Gap 2011), A Natural Laboratory (Mt Coo-tha 2013) have dealt with a range of themes. An exciting program coinciding with Brisbane’s Ekka holiday is now taking shape. Our Sixth Great Sandy Conference promises to be our best yet. There is a new layer of responsibility now that the Butchulla have Native Title over K’Gari that they may have occupied for 40,000 years. Very eminently qualified speakers will make presentations to the conference that will help to understand Fraser Island’s World Heritage Outstanding Universal Value. New insights should assist in improving the management of this site. The theme aims to increase our understanding of the geomorphology, the marine environment and the impacts of climate change. It also allows scope to discuss the natural beauty of the site that is one of Fraser Island’s three World Heritage criteria. Author, academic, researcher and gifted speaker, Ian Lowe’s principal research interests are in policy decisions influencing the use of energy, science and technology; energy use in industrialised countries; large-scale environmental issues and sustainable development. He was made an Officer of the Order of Australia in 2001 for services to science and technology and for contributing to public understanding of environmental issues. 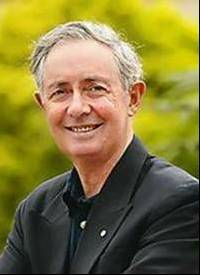 Ian is the Immediate Past President of the Australian Conservation Foundation and has long been focused on the impacts of Climate Change. Over 30 years a CSIRO team carried out their groundbreaking studies tin Cooloola that has helped our understanding of so much of the complexities of this part of the Great Sandy Region. They helped unravel and understand the chronosequences of dune systems. A team of scientists mainly from University of Queensland led Prof Jamie Schulmeister is about to embark on a multidisciplinary study of Fraser Island that rivals that of the CSIRO Cooloola dune studies in breadth and scope. Prof Jamie Schulmeister’s asks the key question “Is the answer blowing in the wind? — Towards an environmental history of the Fraser Island /K’Gari dune fields’. The Marine Environment of the Fraser Island Region features strongly. Dr Joachim Ribbe, Associate Professor in Climatology, USQ, has made some most interesting recent discoveries. These include the “Southeast Fraser Island Upwelling System” and the classification of Hervey Bay as a hypersaline system. Great Sandy Strait will also get a very full treatment. It is an appropriate topic on what is being done to keep Great Sandy Strait Great? Great Sandy Strait is an internationally important wetland and one of the most significant migratory shorebird sites in Australia. Up to 40,000 shorebirds have used this location during the Australian summer. Dr. Jon Coleman (Queensland Wader Study Group will report on 20 years of observations. 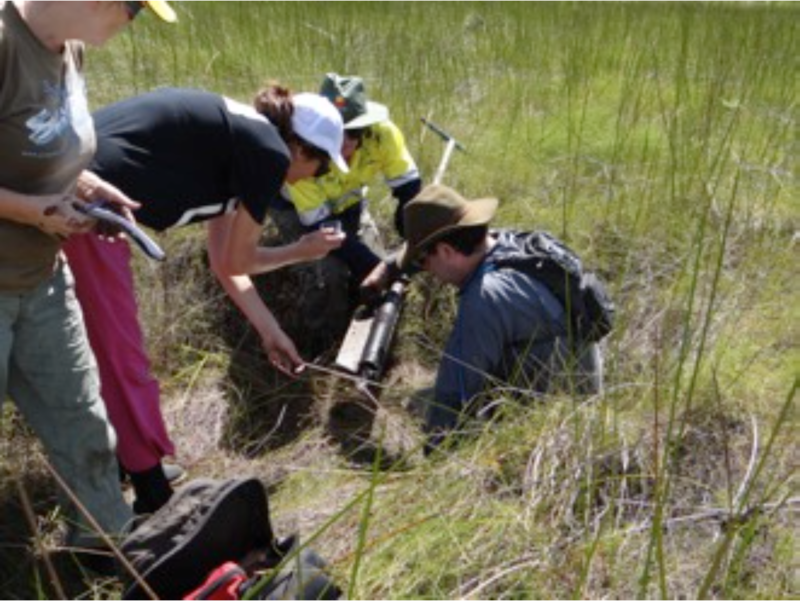 There has been much interesting research carried out in the Fraser Island fens in recent years. The International Mire Conservation Group came in 2013. This team from University of Queensland led by Dr. Patrick Moss is examining a peat core extracted from the Puthoo fens that help us understand the ecological history going back 40,000 years. As well we are looking forward to presentations from government agencies, (yet to be confirmed) and discussions on Dingoes, Dilli Village, the role of volunteers and the significance of the rainforest flora. It promises to be a full and fascinating day of expanding our knowledge and understanding of this unique part of the globe. All of this information and stimulating discussion, a light lunch and morning and afternoon tea costs a registration fee of only $100. ($80 for FIDO members, $60 for students and concessions).